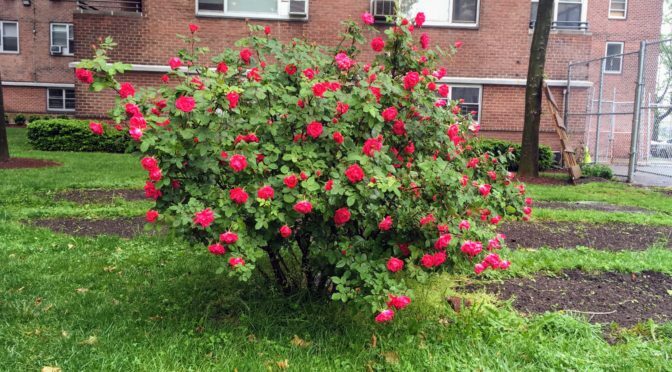 If you live in East River buildings 1 or 2, your City Council representative is Rosie Mendez, who, because of term limits, is not running for re-election. 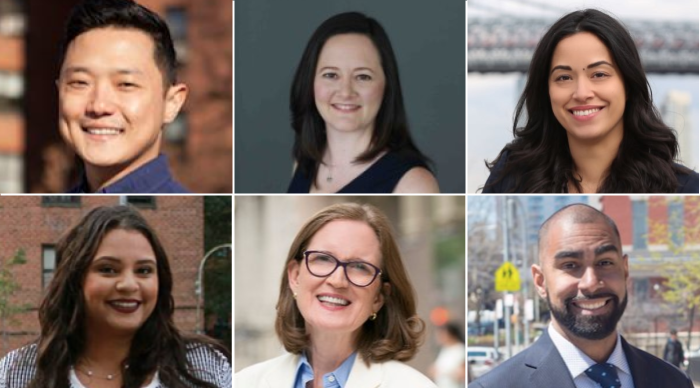 This open seat has six candidates on the ballot next week: Ronnie Sung Cho, Erin Hussein, Carlina Rivera, Jasmin Sanchez, Mary Silver, and Jorge Vasquez. Margaret Chin, Christopher Marte, Dashia Imperiale, and Aaron Foldenauer. September 12 is primary day, and local Democrats will have choices for several local positions, including City Council Member, Assembly District Leaders, and Democratic County Committee Members (who may be called on to select our next State Senator). 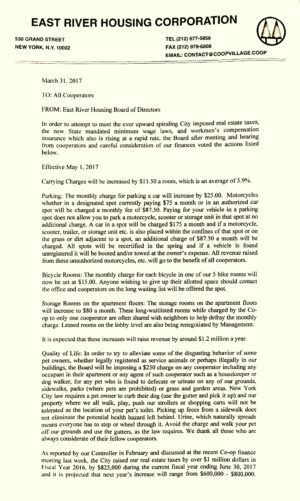 City Council District 1 covers East River buildings 3 and 4 (sections G, H, J, K, L, and M). 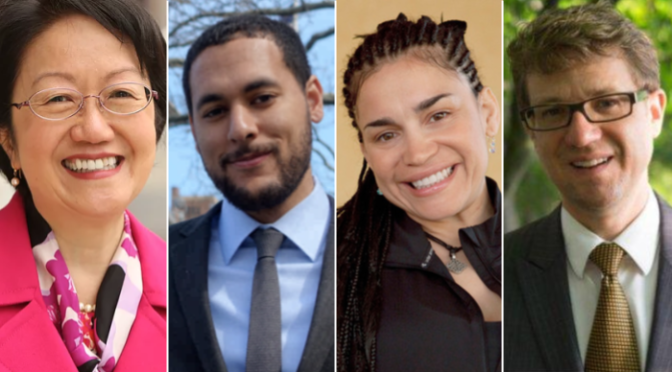 Margaret Chin is running for a third term against three challengers: Christopher Marte, Dashia Imperiale, and Aaron Foldenauer. If you want to learn more about them than what you read on their campaign mail, you’ll have a chance on Tuesday evening at Manny Cantor Center, when the four will meet for a debate. 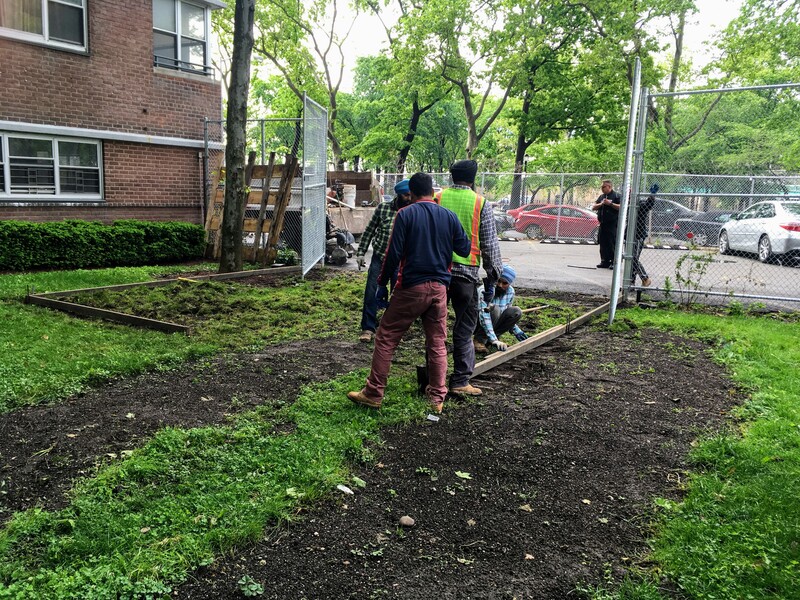 This summer, cooperators have been distributing a petition by hand to support the cooperative garden in the courtyard between buildings 1 and 2 that was unceremoniously dug up and covered with concrete in May. If you haven’t had a chance to sign the paper version, you can add your name below to this online petition. 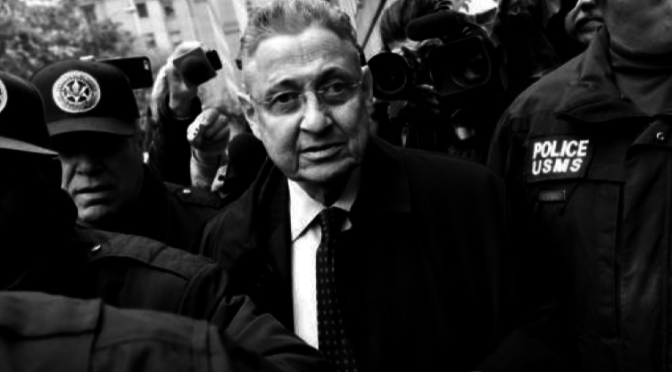 The Lower East Side political club that for years served as the home base for disgraced former Assembly Speaker Sheldon Silver has failed to publicly disclose its finances, as required by law, for nearly two decades, an activist charges. Full disclosure: that “activist” is me. 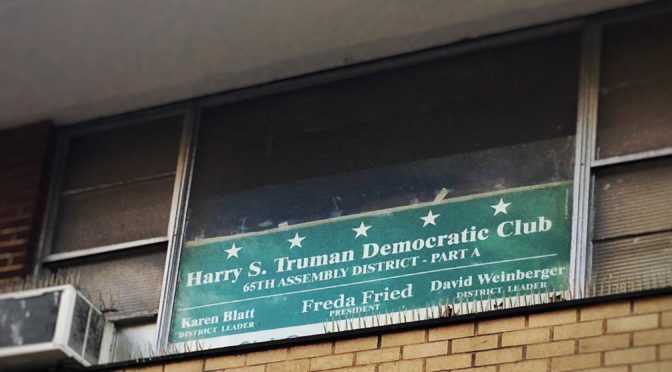 First I noticed that neither the Truman Club nor its two candidates for Democratic District Leader, Karen Blatt and Jacob Goldman, had registered campaign committees with the state board of elections. 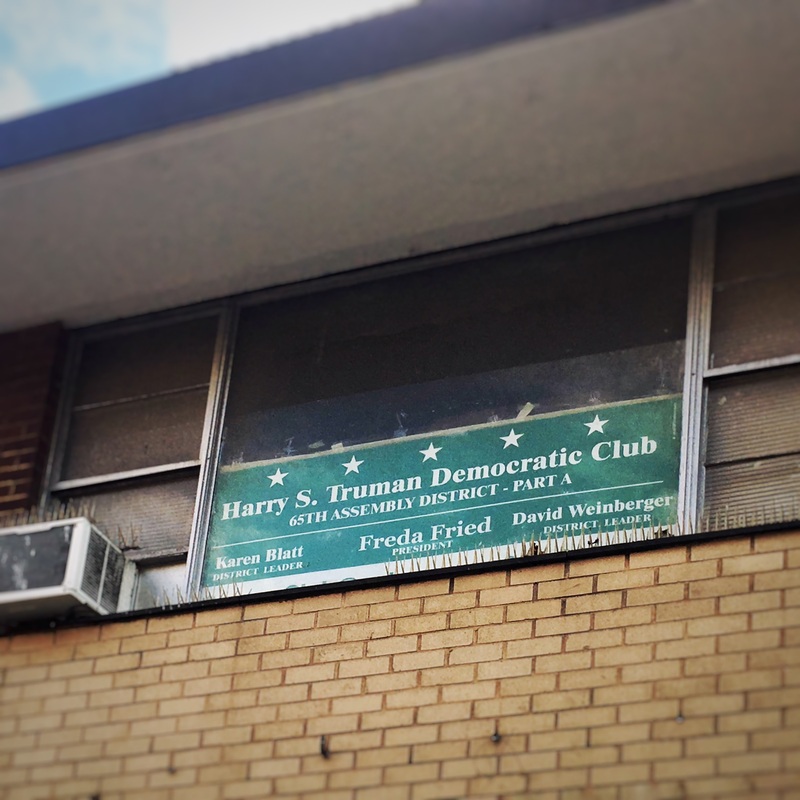 Then, by searching for payments other campaigns have made to the Truman Club over the years, I found close to $100,000 in contributions to Truman that the club has never disclosed. That’s just the tip of the iceberg, because most donors — individuals and corporations — are not required to report their own contributions. All of this information comes straight from the board of elections database of contributions, which is searchable online. In contrast, Caroline Laskow and Lee Berman, who are challenging Blatt and Goldman, registered their campaign committee earlier this year and filed their first disclosure report on time. The Post article appeared last Sunday; on Monday, Blatt registered “Committee to Re-elect Blatt”. This is the second time she’s running for office, but only the first time she’s registered with the state. Her first financial disclosure is due in one week. Meanwhile, NY1 ran a report on Sheldon Silver’s appeal to the Supreme Court, making a sideline to report on Silver’s continued influence on Grand Street in the form of his “enforcer and gatekeeper” and former chief of staff, Judy Rapfogel, who is actively campaigning for the Truman Club’s District Leader candidates, Blatt and Goldman. Finally, a newspaper in Albany revealed what Blatt herself has not: her current job. Blatt’s online bio does not disclose her current occupation; neither does a color flyer distributed to voters in Seward. Turns out she is co-executive director of a state agency called the Legislative Task Force on Demographic Research and Appointment (LATFOR). LATFOR is essentially responsible for redistricting in New York State, though that authority was shifted to an independent commission following a constitutional amendment passed by voter referendum in 2014. Critics contend that the agency is now toothless and just “a place for patronage”. The report notes, “LATFOR had faced criticism for drawing district lines that favor the candidates of majority Assembly Democrats and Senate Republicans.” Blatt’s position was made on appointment by Assembly Democrats, who at that time were still controlled by Sheldon Silver. 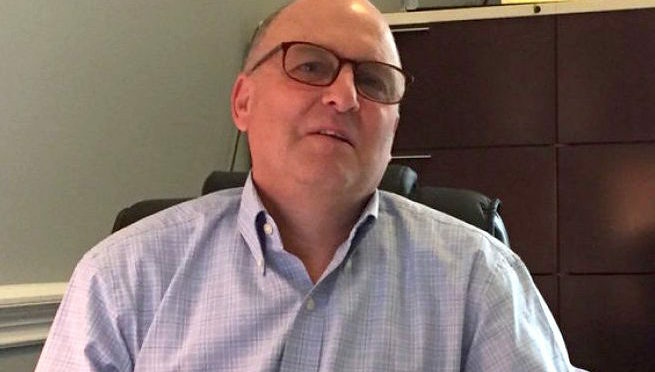 Instead of waiting for federal prosecutors to retry his corruption case with revised jury instructions, his lawyers are attempting to get a hearing before the U.S. Supreme Court for an outright acquittal. Silver’s original convictions were thrown out last month because of a subsequent Supreme Court decision that overturned the corruption conviction of Virginia Governor Bob McDonnell. Silver is hoping to get the same friendly reception by the D.C. Nine. U.S. Attorney Joon Kim wants to prosecute Silver again, but now has to wait for the Supreme Court to decide whether to hear the case. 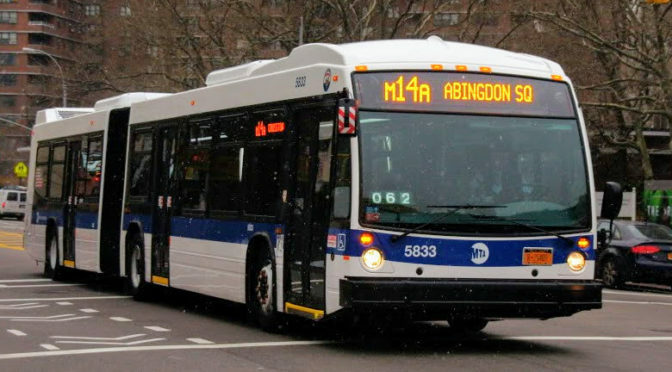 The community board transportation committee Tuesday will get an update from State Senator Squadron’s office on increasing the frequency of M14A buses. It’s happened to all of us: waiting 30 minutes or more for the M14A at Union Square while watching bus after bus after bus marked M14D pick up passengers. The MTA says there’s a 3-to-1 ratio. The question is, why the disparity? Two years ago cooperator Joseph Hanania started a petition to bring attention to the problem. He made two suggestions: increase the number of M14A buses, and let the M14D continue down the FDR access road to Grand, then turn and use the two stops for the M21 on its way to its normal end of route under the Williamsburg Bridge. The MTA then reviewed ridership and decided that the frequency of buses was consistent with the count of riders. Advocates like Hanania said those counts were flawed because of how many people at Union Square just give up on getting an M14A and hop on the M14D instead. Now Hanania says State Senator Squadron may have gotten the MTA to review its counting method to take into consideration M14D riders who get off the bus and continue to walk to Grand Street. 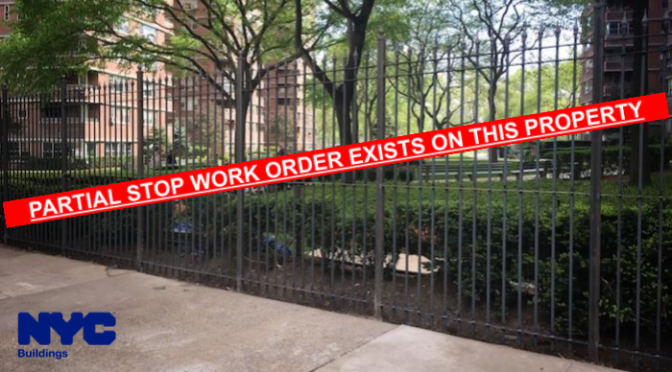 And so the issue is back before the community board’s transportation committee on Tuesday. Update: No new counting methodology was introduced by the MTA this week. In fact, the MTA continues to insist that the ratio of M14D to M14A is appropriate. 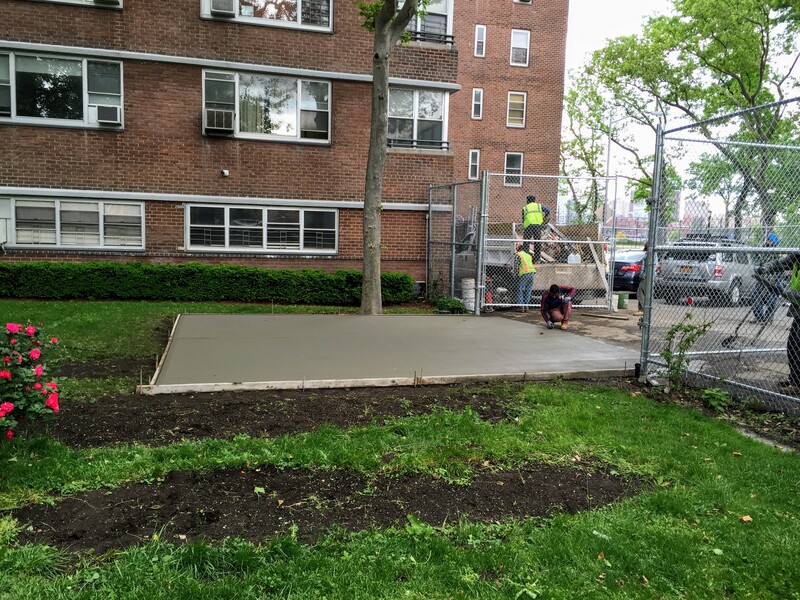 Just in time for Memorial Day weekend, East River maintenance pulled out all the plantings in the cooperative garden behind building 1 and filled in a large section of the garden with a concrete slab. 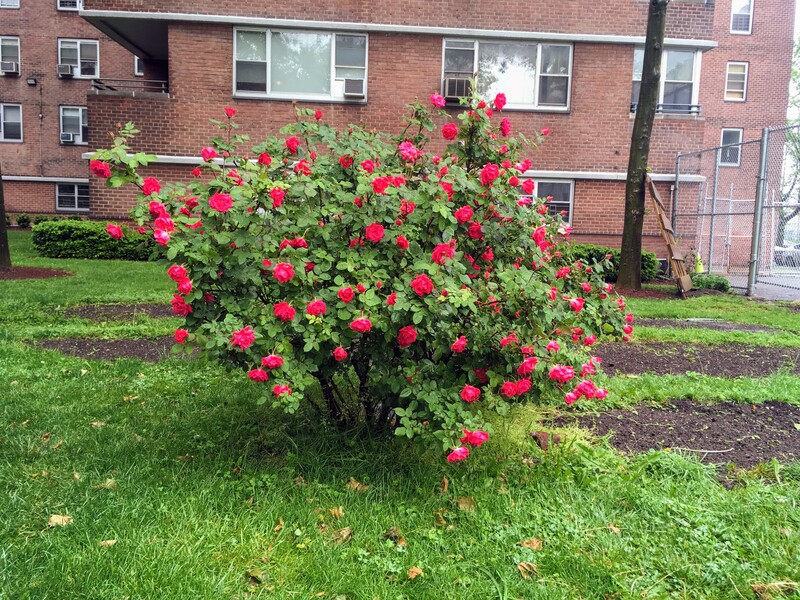 The garden was started five years ago with the board’s blessing; East River maintenance assisted in preparing the beds. A year later, the board backed away from their support, but cooperators continued to cultivate the area on their own initiative. 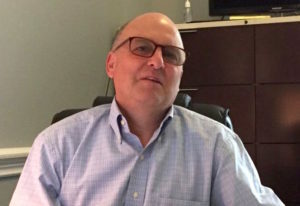 AM New York has the scoop this morning that Gary Altman is retiring from his position as chief legislative counsel to the New York City Council. Altman has worked for the Council for almost four decades, under many mayors and council presidents. He has been on the East River board of directors almost as long, and now will have even more time to devote to the coop as board president. The board announced a new maintenance increase today, just two weeks after distributing audited financials showing an even greater deficit for the last fiscal year than previously reported. This is the second increase in a year. 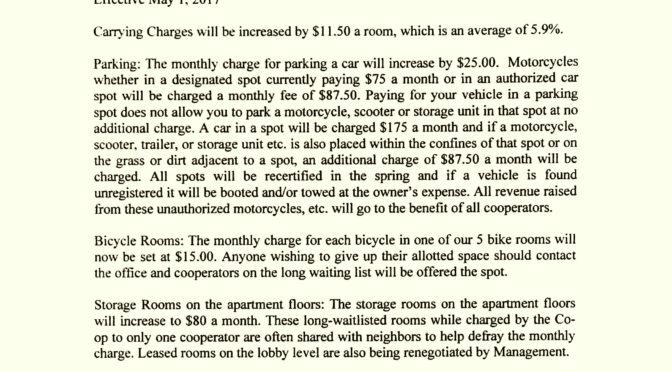 In addition to monthly maintenance for everyone, rates for parking are going up for the first time in years, as are the fees for storage rooms and bike storage. The board is also promising to recertify the parking lot — which is a fancy way of saying they will make sure that the cars parked in our lots are the ones that are supposed to be there. They also promise a crackdown on motorcycles and storage units that take up extra space in the parking lots. The board’s memo today says “It is expected that these increases will raise revenue by around $1.2 million a year.” You can read the whole memo here. Last year’s deficit clocked in at $2.4 million. That won’t be effected at all by this increase. This year’s budget expects a deficit of $970,000. The new maintenance increases going into effect May 1 would reduce that deficit by approximately $200,000. That’s a $3.2 million shortfall over two years that the board has no plan to cover. Just for good measure, the board will impose new penalties on owners with pets who defecate or urinate anywhere on coop property. $250 each time your pooch can’t hold it in from the front door to the curb.